On Dec. 8, Boston College’s football team held its annual Senior Banquet to hand out awards to some of the players in their final season in the program. Among the honorees that night was senior fullback Colton Cardinal. 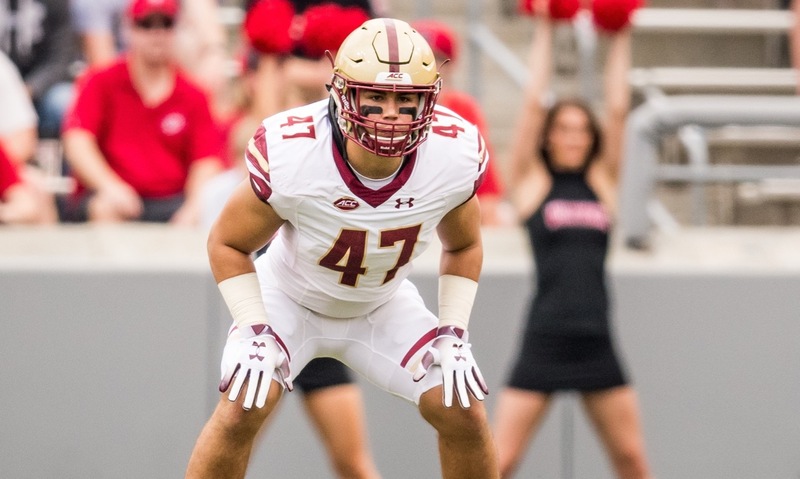 The former Franklin standout arrived at BC as a preferred walk-on at linebacker and lasted four years with the Eagles as a fullback and as a regular on special teams. “That was kind of special,” said Cardinal following the team’s a mid-week practice. “It kind of took me by surprise but I was really happy. Commitment has never been a problem for Cardinal, who had offers to play at lower levels and probably could have walked into a team and become a starter at linebacker. Instead, he chose to play Div. I at BC and stuck it out through position changes and limited playing time. The day after Christmas, Cardinal will wrap up his career with Eagles when they take on Boise State in the SERVPRO First Responder Bowl at the historic Cotton Bowl in Dallas. It was this type of opportunity that Cardinal wanted when he chose to play in Chestnut Hill. As a senior with the Panthers, Cardinal was considered one of the top linebackers in the Hockomock League. 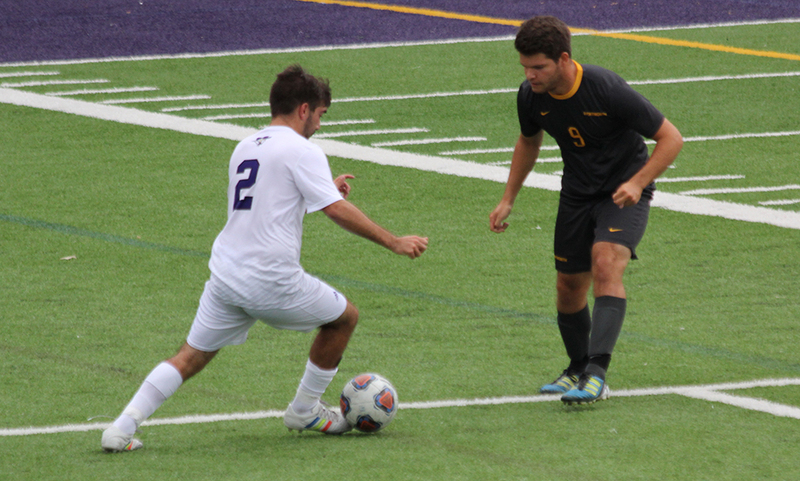 He started all but one game during his four years at Franklin. He was being recruited by several schools, including BC, who sent defensive coordinator Don Brown (who is now the DC at Michigan and is the father of current Franklin baseball coach Zach Brown) to meet Cardinal, his family, and then Franklin coach Brad Sidwell. It is pretty common for players in Massachusetts to aspire to be on the Eagles and Cardinal was no different. Alumni Stadium is about 15 minutes from his father’s work and he has been to the stadium a number of times. The problem was that BC also recruited a number of other linebackers (Cardinal remembers more than a dozen linebackers on the team his freshman season), so to get on the field he needed to find a different niche. He got into a game his freshman year against Howard at linebacker and then at the end of the year he played special teams against Syracuse. When asked why he wanted to stick it out on the team, with all of the time and the effort that entails, over the course of a four-year career, Cardinal replied, “Pride for myself and pride for representing my family, the Franklin community, the Hockomock community, and Massachusetts as a whole really. Coming to Boston College and being a Massachusetts guy means a lot to us. Of course running out onto the field at Alumni Stadium against highly-ranked Clemson for a game that had all of the eyes of the college football world on it, including ESPN’s College Gameday set, was a pretty good reward for having stuck it out over four years. Cardinal and the Eagles will wrap up the season in a bowl game against a nationally-ranked team. He said that friends and family are planning on going to Dallas to watch his final collegiate game. When he signed on to play at BC, this was the type of stage he expected to play on and this is the ideal way to close out his career.